Weather data for the whole world: current data, weather forecasts, historical data covering 5 years. Weather and satellite data, and data based upon it vital to agriculture. Satellite data with a tool for online processing to fit your requirements. Historical data is also available. Online service made up of straightforward and user-friendly API sets for access to current weather data, forecasts and archives. You can also visit our website to find out about the weather in your location. As the data source, we use simulated climatic data, official meteorological services, data from airport weather stations and from private weather stations. Easy to use tool in the shape of an API set for receiving weather and satellite data, as well as data based upon it for agricultural uses. This product is aimed mainly at developing agricultural services, and factors in this sector’s specific requirements. This product is also geared toward the insurance and banking sector as a farm rating tool. Our simple visual tools will help you to create requests, adjust presets, adjust indices and color palettes for any area on Earth. 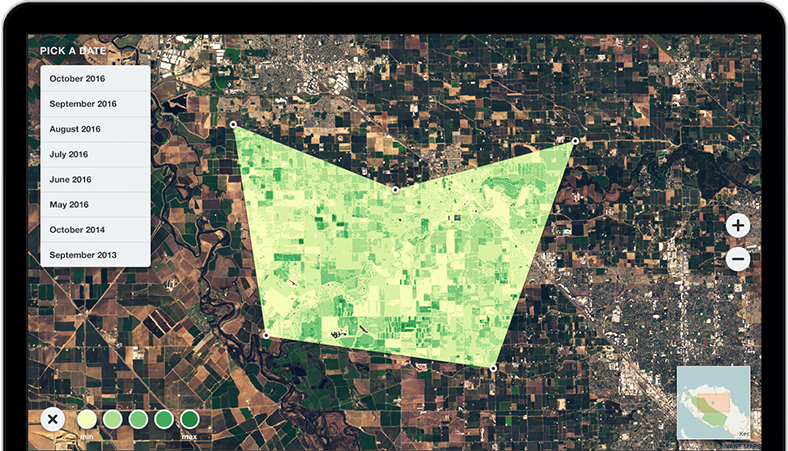 Put the URL in the tiles or GeoJSON polygons of your application to see the results instantly. Comfort and safety: from vital information on natural disasters and focal points for their spreading, to dressing appropriately to the weather, and smart journey planning. Agricultural industry: forecasts, and current and historical data for successful farming and precision agriculture. Special alerts and information for irrigation management and timely reaction to any environmental fluctuations etc. Smart Home: you can connect your smart home to our system, and we will be able to provide you with precise and complete information as well as using your data to help others obtain precise weather information. Find out more about our projects and the different ways you can use them. Our story began with the search for niches in which we could use our knowledge of, and experience in, using Big Data. We decided on processing weather data and with this, in 2012, started work on our first product: the Weather API. We wanted to make this data accessible to all, and to make receiving it as fast and user-friendly as possible. We used open weather data: simulated satellite data, open data from airports, research institutes, and even private weather stations, which is precisely why our product has always had, and still has, rates that are free of charge. Our product took off, and we spent the next two years maintaining and improving it: we expanded the range of data provided, scaled up our capacities for a rapidly growing number of users, negotiating a huge number of stumbling blocks along the way. As we went through this stage and stabilized our solution, we started to work with corporate clients. We built up enough expertise in this area and realized that we had all the capabilities to launch another product based on satellite images. And so we launched our VANE product which became a comprehensive platform on the basis of which we are able to launch our new products and offer this capability to other users. After some time, we realized that we were gathering a large amount of satellite and weather data which we could also offer to users. We still never fail to be amazed by the many different areas in which our product can be used: the banking and insurance sector, sales forecasts, drones, smart homes, targeted advertising... and these are just the ways we know about. It is only quite recently that we started to analyze our capabilities once more and launched another of our products, this time, for the agriculture sector: the Agro API. As well as its obvious orientation, it can be very useful to insurance companies for assessing and predicting the potential development of farming enterprises.